Neither polish nor matt , I love satin finish longboards…. 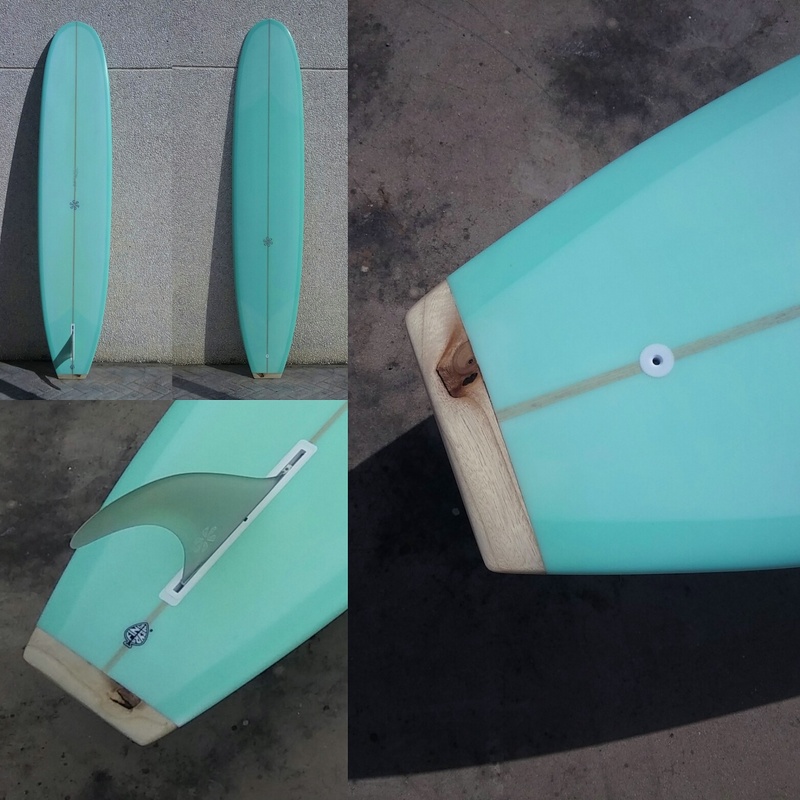 Double stringer, tail block, 100% handmade long&fin. 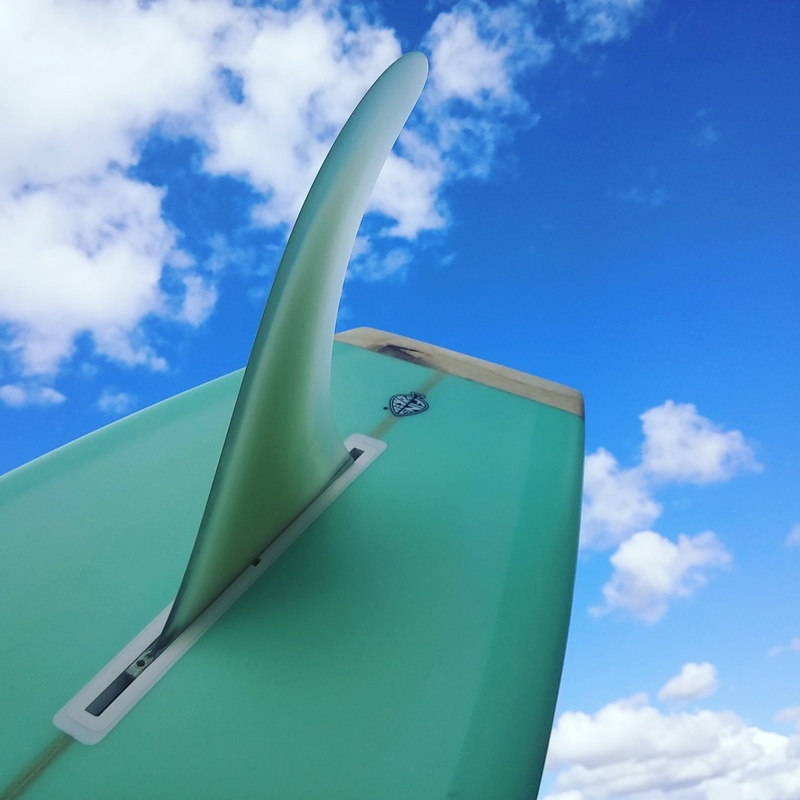 Single fin performance model, the Gasser shown here is a 9’0 narrow tail shape, resin tint, single fin, tail block, fast outline….don’t forget it’s a classic though, that’s mean it’s heavier, turn a bit more than a model T inspired long, but it’s made for cruise not for crush. A brand new long on its way to Germany. Classic lines for this MKI model, as requested, for Good Time Boardshop. Clean lines for easy nose riding, a bit narrower nose , and the rest of top quality construction you’re used to seeing in all my boards. 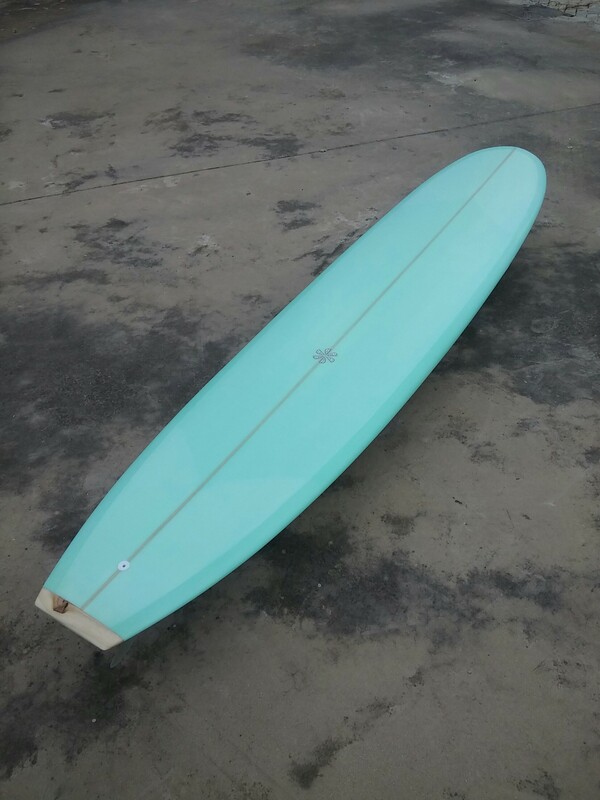 What is an extra for others surfboards builders is standard for me. Get your “all include long”, email me for further info and prices!! Un nuevo y bonito longboard ha salido para Alemania. Un encargo bastante definido desde el principio por el cliente….y así se realizó. 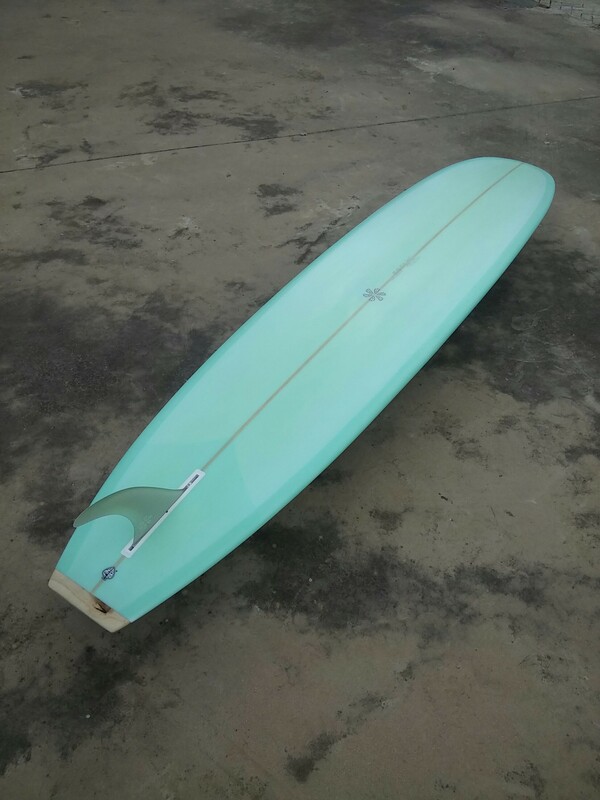 9’0″ custom gasser model for @paula. Retro performance model, easier to turn for a classic construction. 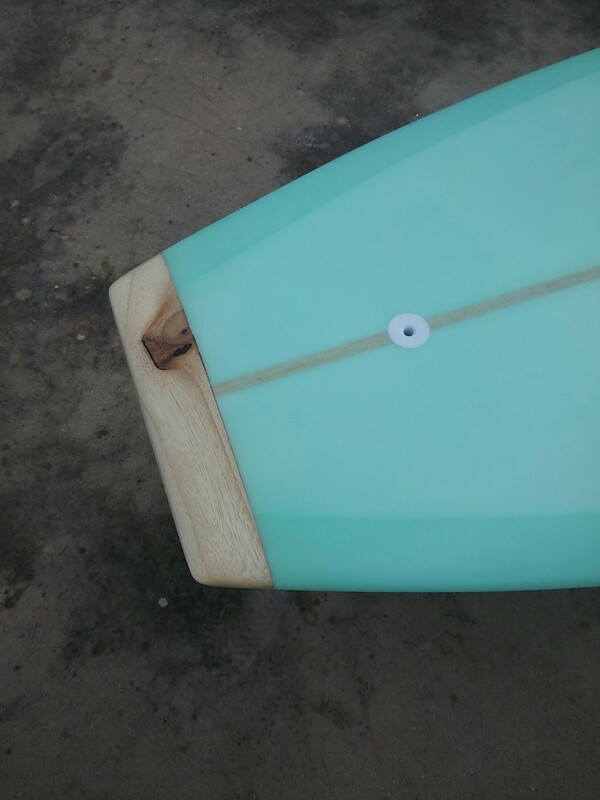 The 2 plus 1 fins set up allow a wider use, more drive/loose with/without the side bites.Wood tail block for that special custom finish. Long Gasser, más orientado a performance lo que significa que gira y se mueve con mayor facilidad, simple que sepas hacerlo…La configuración de quillas permite surfear más suelto, sólo con la quilla grande de ese shape, o con más drive o agarre cuando usamos las tres. 9’0″ GASSER. Retro-performance model for @carlos. Red body and black and white stripes for this beauty.